Happy Halloween! Crunchy Bunches is still on hiatus until January right now, but I couldn’t resist a few holiday comics! Ohhh… Get the TP ready! They spend all their time just eating cereal? 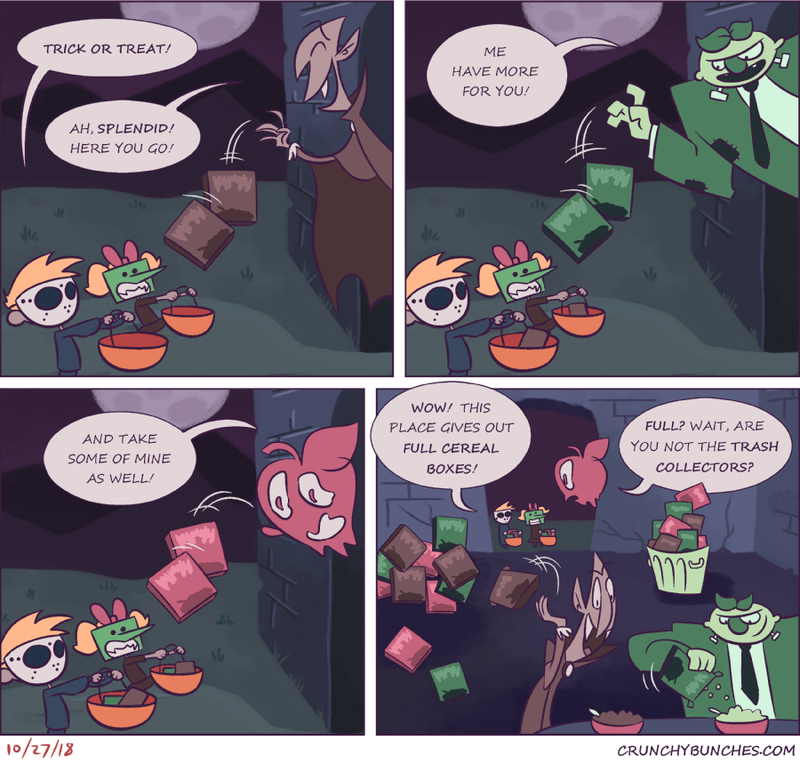 This is why you can only find those cereals at the store once a year.